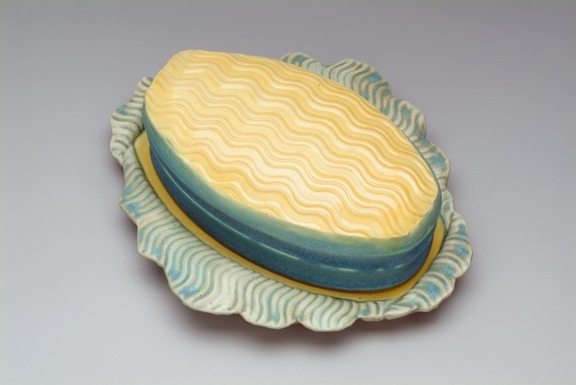 Cheer your dreary toast, or propose a toast to your corn with this hovering butterdish. Butter up! My Flying Butteresses come in a variety of colors, shapes and sizes, and range in price from $95 - $135. Pass me a note for quick pix of stock! 3" x 9" x 7.5"